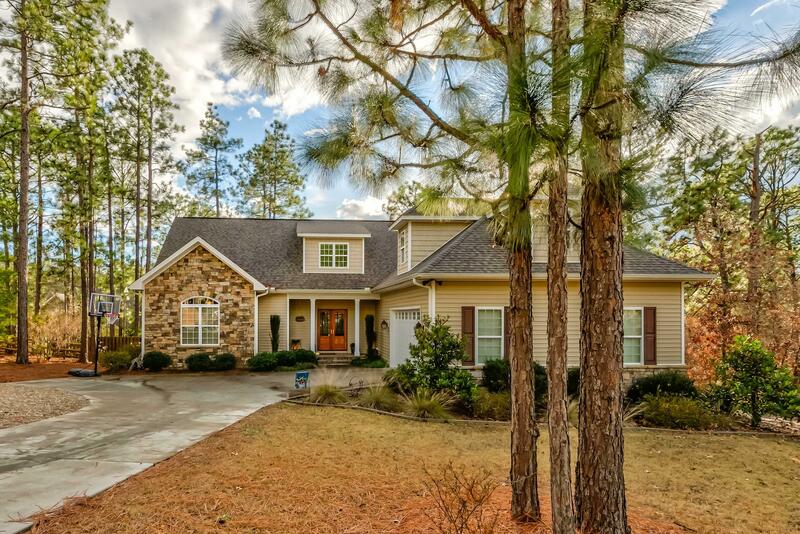 Beautiful traditional 4bed/4bath home located in Pinehurst No.6! Hardwood floors, stacked stone fireplace, granite countertops, stainless steel appliances, two living spaces and a large bonus room! This home has ample space, gorgeous craftsman finishes, and many extras like a mud-room, separate laundry room, screened in back porch and private fenced back yard.